It has only been recognised tardily and with reluctance that during the Second World War hundreds of thousands of itinerants met the same horrendous fate as Jews and other victims of Nazism. Gypsies appear to appeal to the imagination simply as social outcasts and scapegoats or, in a flattering but no more illuminating light, as romantic outsiders. In this study, contemporary notions about Gypsies are traced back as far as possible to their roots, in an attempt to lay bare why stigmatisation of gypsies, or rather groups labelled as such, has continuned from the distant past even to today. CHOICE - "This is a book sure to elicit continued controversy and should be part of every Gypsy collection, but it will be of limited interest to nonspecialists". "Willem"s work is a very important and welcome addition." 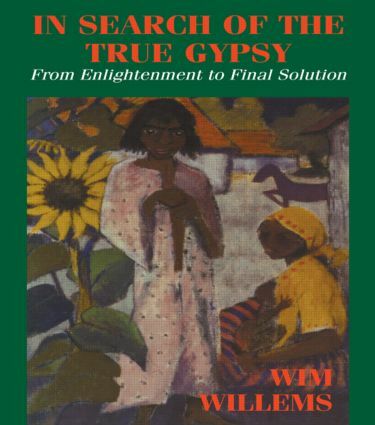 "Willem"s study will become a milestone in the history of research on the Gypsies, because it, in excellent fashion, makes this very history its theme.